Azerbaijani President Ilham Aliyev gave an instruction to eliminate the consequences of the recent earthquake in the country, Minister of Emergency Situations Kamaladdin Heydarov told reporters in Shamakhi Feb. 6, Trend reports. Heydarov said that in accordance with the instruction of the president, relevant work will be carried out jointly with the commission of the Ministry of Emergency Situations in Shamakhi, Ismayilli and Aghsu regions. 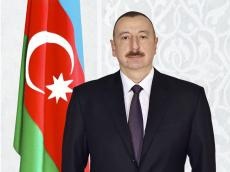 “In accordance with the instruction of First Vice President of Azerbaijan Mehriban Aliyeva, volunteers of the Heydar Aliyev Foundation will be directly involved in this work,” the minister added. He said that residents of houses in emergency condition will be temporarily accommodated in other places. “The state will allocate assistance for carrying out the repair work,” Heydarov said. According to preliminary data from the Republican Seismic Survey Center, five earthquakes have been recorded since Feb. 5, with the first one, a 4-point earthquake, being recorded at 23:19 (GMT+4), 7 km south of the Pirgulu station, in the territory of Aghsu region. The aftershock’s epicenter was located at a depth of 10 km, and was felt at its epicenter at a magnitude of 5, and 4.3 in its vicinity.